Welcome to the Vegosphere: Great work day at Sunny Meadow Sanctuary! 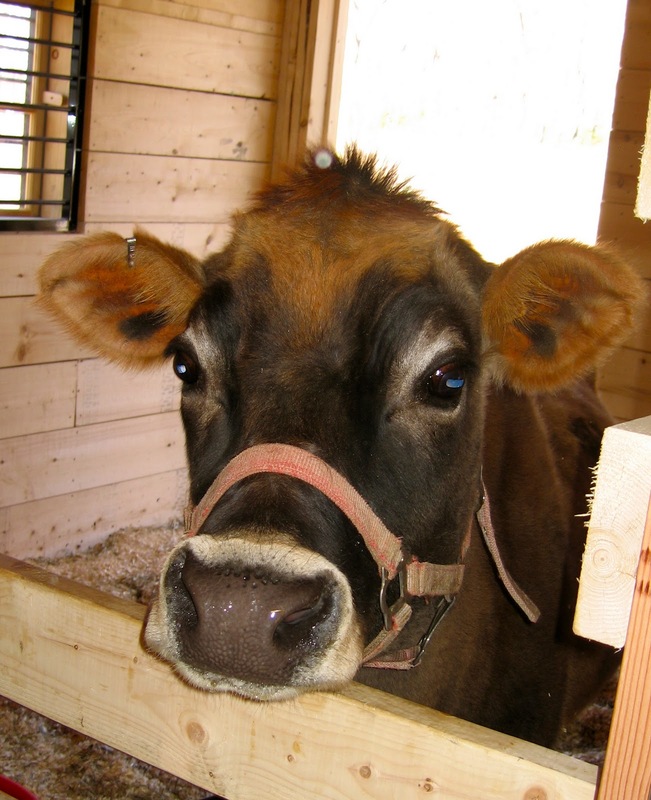 Sunny Meadow Sanctuary is a safe haven for rescued farm animals in Central Massachusetts. Today was a work day at the sanctuary, where nearly 20 volunteers came together to make improvements to help the animals and then share a delicious potluck vegan meal. This was the first chance for Tim and me to visit the sanctuary and to meet Helen and Steve, who are not only the caretakers and guardians of the animals, but also the founders of MARC, the Massachusetts Animal Rights Coalition. MARC is the largest and most active animal rights group in Massachusetts, with over 2600 members. Spring crocuses at Sunny Meadow Sanctuary. It was a beautiful day for working outside—sunny and brisk, with a hint of spring in the air. We first were introduced to the Sanctuary's furry, feathered, and scaly residents, including the most recent rescues: Annie the cow, Nelly the donkey, and Cisco the horse. Then we began to work. The job requiring the most hands was first installing a platform/shelter in the new, larger goat yard, and then fencing it in. But with so many people helping out, these jobs were completed in no time! New ramps and platform for the goats, with new barn in the background. Hannah and Ivy enjoying fresh spring greens in their new goat yard. A fun and satisfying day was had by all! Nelly's Story. If ever an animal needed sanctuary, it was Nelly. She may have originally been a BLM burro but then she went somewhere where a man beat her badly to get her to work. 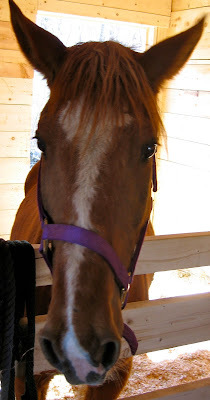 Then she ended up somehow at her current barn. From what could be gathered, they were trying to run an animal buying/selling/boarding/breeding operation that went totally haywire. Consequently, the donkey is very shy and scared of new people, especially men, but she seemed ok with Helen and Steve after a while. And she is not aggressive at all. Only Sunny Meadow and a logging company in Maine, where she would haul logs for the rest of her life, were interested in her. She is such a smart, sensitive animal that it's hard to imagine what could be worse for her than if these people sold her to the loggers. Poor animal, she's had 5 foals in under 6 years. 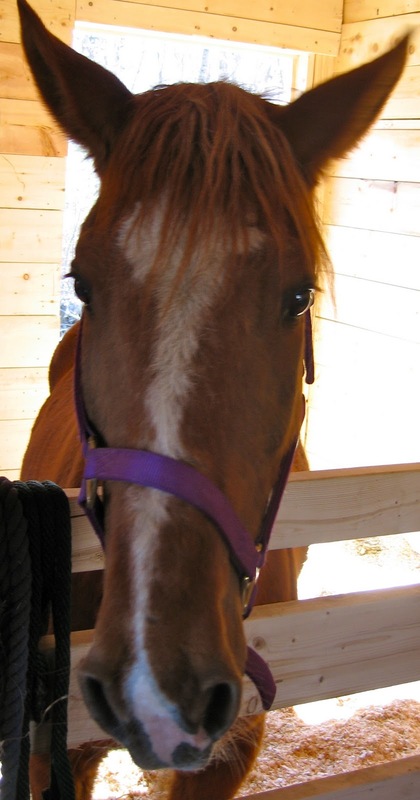 Nelly is eating now and taking treats—she loves bread and horse treats—that is helping her calm down too. Whatever happened to this poor animal was really, really traumatic. And donkeys are really smart and never forget. Cisco's Story. 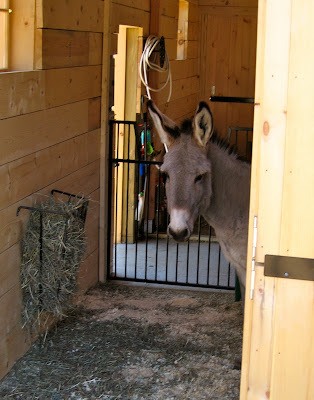 While Nelly's rescue was in progress, a horse rescuer contacted Helen and Steve about a rescued gelding who had been starved for 2 1/2 months (the police found him almost dead after receiving a tip) but who was ready to leave the rehab barn and who was currently living with a donkey. When Helen and Steve emailed the rescuer about the situation, she offered to bring Cisco to be a companion to Nelly, right away. 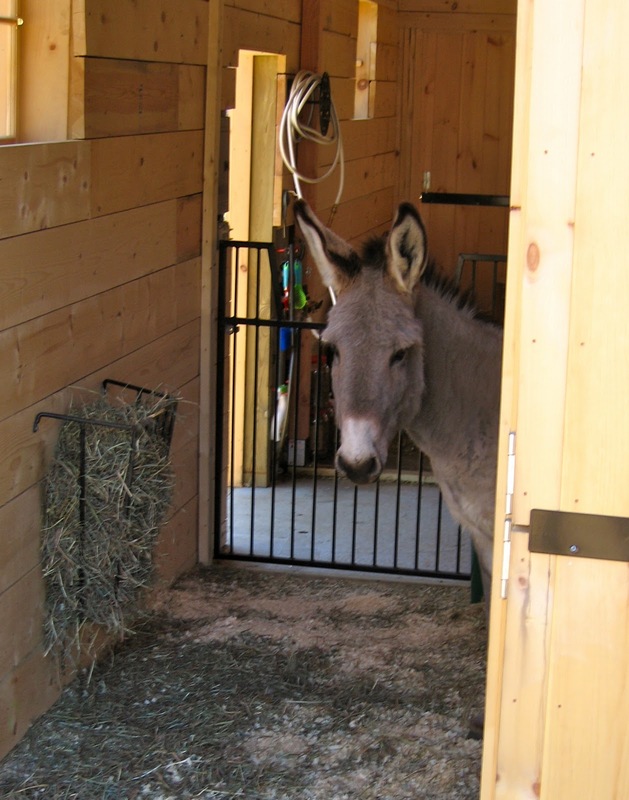 Amazingly, as soon as Cisco was in the stall next to Nelly, she settled down. Although Cisco was severely underweight when he arrived at Sunny Meadow, he has been getting the best of care and this good boy is well on his way back to good health. Annie's Story. Annie is almost six and has been impregnated every year since she was able to be and milked on a milk machine continuously when she wasn't pregnant. She recenty had a calf but she barely had enough milk. (Her previous owners kept breeding and milking her as long as they could to get every penny out of her.) Sunny Meadow had no hope of getting her baby but was able to save her. Her transition to the Sanctuary went as well as could be expected, given that this poor sweet cow was being taken from her baby. She was so sweet, even in her sorrow and longing for her baby. She was incredibly gentle and even came to Helen and Steve for comfort, but her mooing was so sad. They consoled her with petting and treats, and the other rescued mom, Nellie the donkey, helped, but nothing could take away her agony completely. This agony of loss is the dark, hidden side of dairy consumption—this happens to every single dairy cow every single year—until she is sold at a very young age to become hamburgers or dog food. Her female babies become future dairy slaves and the males are killed almost immediately for veal. If you have not gone vegan yet, please, in honor of this and the millions of other poor mother cows, do so.